Revisiting The MCU: THE INCREDIBLE HULK | Warped Factor - Words in the Key of Geek. 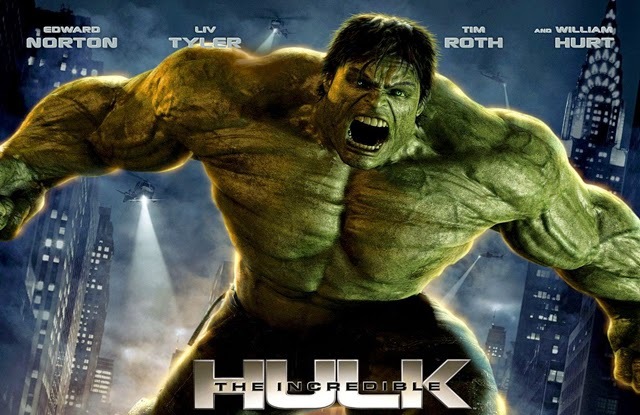 As we revisit the movies from the Marvel Cinematic Universe, Da'Mon Guy takes a look back at 2008s The Incredible Hulk. A film he has a lot of love for. In the last 15 years or so, comic book movies have moved from the background to become one the dominant staples of modern filmmaking, becoming some of the biggest box office draws. It seems that every year one of the characters from Marvel or DC Comics is in the running to be the biggest money maker on the big screen. A long way from the days when there was a debate as to whether or not this genre was profitable or if anyone would even go to see one of these types of films. 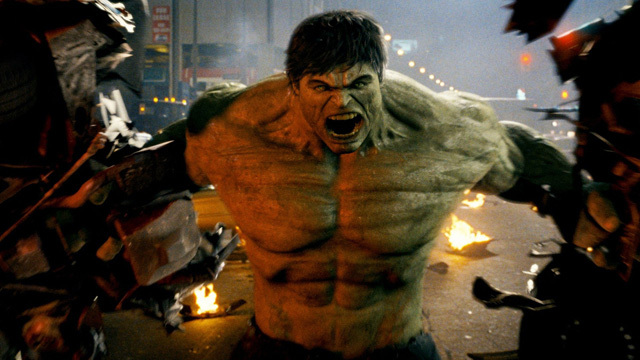 In 2008, The Incredible Hulk made his way back to the silver screen. It was the second attempt to finally modernize one of the most popular comic book characters in the world and bring him into the big leagues. The result was one of the best adaptations of one of the most well known comic book characters ever, rectifying many of the failings of the movie that had featured him just five years prior. 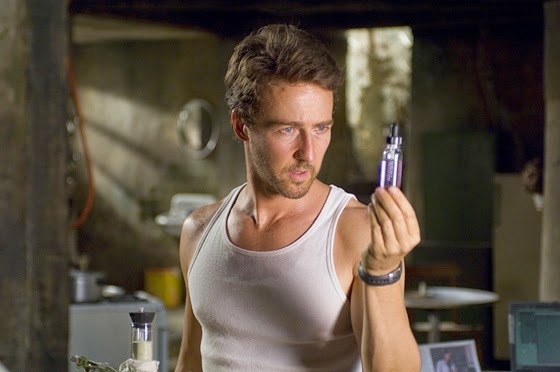 The Incredible Hulk was the second of the Marvel Cinematic Universe films that comprised Marvel’s now famous blueprint to set up The Avengers movie, and I'd argue it is the best film made by Marvel Studios as it is a much more pure adaptation of the character. The film contains all the elements essential to a comic book movie; great interpretation on the hero, great acting, good story, and a great depiction of the villain to balance the movie. Focusing on what the character truly is; a tortured soul who wishes to return to humanity, this movie got it right. In addition to the great outlook on the character, it catered to both factions of the fans. It was detailed oriented enough to keep the droves of devout fanboys satisfied, whilst at the same time being very audience friendly so that casual fans can follow. The Incredible Hulk builds great anticipation leading up to the Hulks first on screen appearance, engrossing the audience, drawing them into the story more and more, then finally when it was time, it unleashes the Hulk on them with all of the imposing amazement that he deserved. One of the key elements that made this film even greater is how it embraced the classic television show. The Hulk is one of the few superheroes that had a great TV show, in fact that show was larger than the comic to the majority of the general public. The creators of this movie recognized and embraced that and they used a number of subtle references to pay homage to it, including a great opening montage, which also worked to eliminate the need for this film to be yet another origin story - a real option after the disaster of the 2008 Hulk film. Then they incorporated a scene with the theme song, its most famous quote "You don’t want to make me angry, you won't like when I'm angry" and some other very subtle connections to the television show such as the image of Bill Bixby, a cameo by Lou Ferrigno (who also did the voice of the Hulk) and finally the mention of the reporter Jack McGee. This version of the Hulk also made sure to incorporate many of the classic characters from the comics; General Ross, The Abomination, The Leader, The Hulk Busters, and of course Betty Ross. Conversely, The Incredible Hulk was actually the first to kick off the marvel universe. Iron Man was their first film but this was the first movie to incorporate many of the details that have connected the Marvel Cinematic Universe, with multiple subtle and not so subtle references such as referring to S.H.E.I.L.D., indirect references to Captain America, and the now famous post credits scene. All of these elements were a first for what are now trademark Marvel cinematic aspects. The best aspect about nearly all of the Marvel comics movies is the casting. They are second to none when it comes to choosing the actors and actresses who play their characters. The Incredible Hulk is no different. All of the roles are portrayed exquisitely, Ross (William Hurt), Blonski/Abomination (Roth), Banner (Norton), and Samuel Sterns or better known as The Leader (Nelson) couldn't have been better depicted. Bill Bixby is immortally beloved as the best person to play Banner, yet in his one appearance as the character, Edward Norton made a serious claim to displace him. Norton portrayed banner to perfection, grasping all of the elements of the character in the process of bringing his own take on it. He is right up there with the best of the actors that have played Marvel characters, and is arguably as good in this role as Robert Downey, Jr is as Iron Man, Chris Evans as Captain America, and Chris Hemsworth as Thor. Mark Ruffalo may be the popular actor of the moment in the role but he is far short of what Norton’s take was on Banner. Lastly, Norton and Liv Tyler (Betty Ross) had great chemistry. Their love story felt genuine and took the film to another level. For everything that the Hulk is, it’s a much of a tragic love story as anything and this movie truly captured that element. Finally, The Incredible Hulk ended with a bang. The biggest drawback in many of the Marvel Cinematic Universe films is that the endings aren’t epic - see Iron man 1-3, and Thor 1-2 - but The Incredible Hulk didn’t have that issue. The battle with Abomination was epic. It was the first Marvel movie that made you want to cheer when he did the "Hulk clap" and utter the classic "Hulk smash!" The Incredible Hulk remains one of the best films made by Marvel and one of the best interpretations of any of the Marvel comic book characters. It’s more of a forgotten film, thanks to the increased popularity of the Avengers and the other solo films that are associated with it. However, The Incredible Hulk serves as a great standalone feature. Although it will never get the credit or recognition that it truly deserves, this film is as good as Iron Man and Captain America: The Winter Soldier. Da’Mon Guy is a writer and artist. He’s a graduate of Coppin State University and an avid, life-long lover of film. Da'Mon has been actively writing movie reviews since 2011, for a number of publications inc The Baltimore Afro, Move, Raise Up, and Westside News. Check out more of his work at Examiner.com, where he has published over 400 reviews. Visit his Blog and follow him on Twitter.